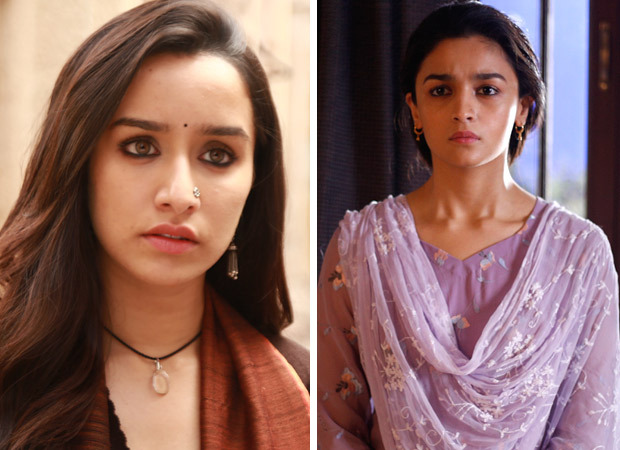 Shraddha Kapoor’s Stree and Alia Bhatt’s Raazi redefine the Box-Office trends – Here’s HOW! Two films with female protagonists i.e. Raazi and Stree surprised one and all with their performance at the Box-Office in India. While Raazi starred Alia Bhatt in lead, Stree on the other hand was bank-rolling on Shraddha Kapoor’s presence. Both the films managed to surpass the trade expectations in terms of opening day, weekend as well as lifetime collections. After opening at Rs 7.53 crore in India, Raazi raked in approximately Rs 32.94 crore in its three days run at the Box-Office which suggests that the weekend biz escalated 4.37 times the opening day. Stree on the other hand opened at Rs 6.52 crore and raked in Rs 32.07 crore, which means that the weekend biz was 4.91 times the opening day. Raazi ended its first week in India at collections in the range of Rs 56.59 crore, and Stree on the other hand is looking to close its first week at numbers close to the Rs 60.00 crore mark. Stree has recorded better trend at the Box-Office when compared to Raazi, however the second week collections will tell us if the Shraddha Kapoor film is able to surpass the lifetime collections of the Alia Bhatt starrer, whose lifetime collections stood at Rs 123.84 crore. None the less, both the films proved to be huge money spinners for everyone associated and put a stamp on the fact that films with female protagonists can do wonders at the Box-Office, if made with the right elements. Apart from the Box-Office trend, another similarity between the two films is the fact that the female protagonist was not supported by a male star but a talented male actor. Raazi saw Vicky Kaushal as the male counterpart, Stree on the other hand saw Rajkummar Rao as the male protagonist. Although both of them are extremely talented and bankable as an actor, one can’t deny the fact that so far they don’t command the mass appeal to get the audience on board in the cinema hall in large numbers. Basically, neither of the two stars were conventionally the selling point of their respective films but proved to be a great value addition to the film as a whole. The scenario here was a little similar to Piku, which was led by Deepika Padukone but the combination of Deepika with Amitabh Bachchan and Irrfan Khan created the right amount of pre-release buzz. For Raazi, it was the trailer backed by Alia Bhatt’s popularity in the metros that got the footfalls in cinema hall, whereas for Stree it was the trailer backed by Shraddha Kapoor’s following that resulted the footfalls on opening day. An interesting point to note here is the fact that given the films done by the two actresses till date, Alia Bhatt’s fan following lies majorly in the metros whereas Shraddha Kapoor has her following concentrated towards the B and C centres of the country. Unlike Raazi, which got major collections from the multiplexes in the metros, Stree got the money from the multiplexes as well single screens in the ratio of 60:40 in favour of multiplexes. Even Stree is expected to make an entry in the Rs 100 crore club at the Box-Office thereby being the first for Rajkummar Rao and the third for Shraddha Kapoor to surpass this number after Ek Villain and ABCD 2. The success of these two films should encourage the industry to make more films with the combination of a commercially viable actress with a talented actor and put an end to the debate of “Gender Equality” raised by a lot of people from within the industry. These films are also economical for the producers and the exit route also becomes extremely palatable given the number of revenue sources (Digital, Satellite, Music, Theatrical etc.) present in the market. The industry is going through a transition phase, and we wouldn’t be surprise if we get to see a lot of content driven commercial films with female protagonist being made from hereon. If such films consistently continue to do as well as Raazi and Stree, the day isn’t far when the female stars from our industry command equal pay on par with a lot of senior male stars. Next The Hindi Sequel: Planned, or just the last resort?